Late rent is something to be expected when you start a property rental business regardless of how sure you are of a tenant’s paying capabilities. 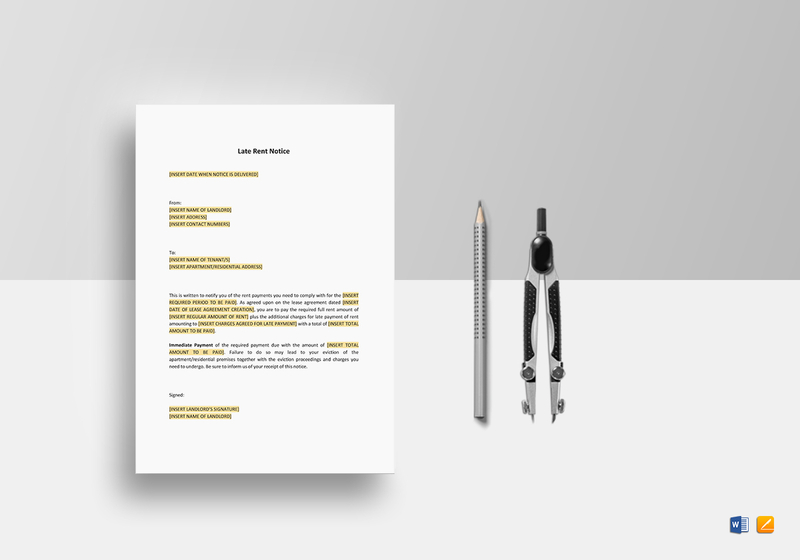 That is why you need this late rend notice template. 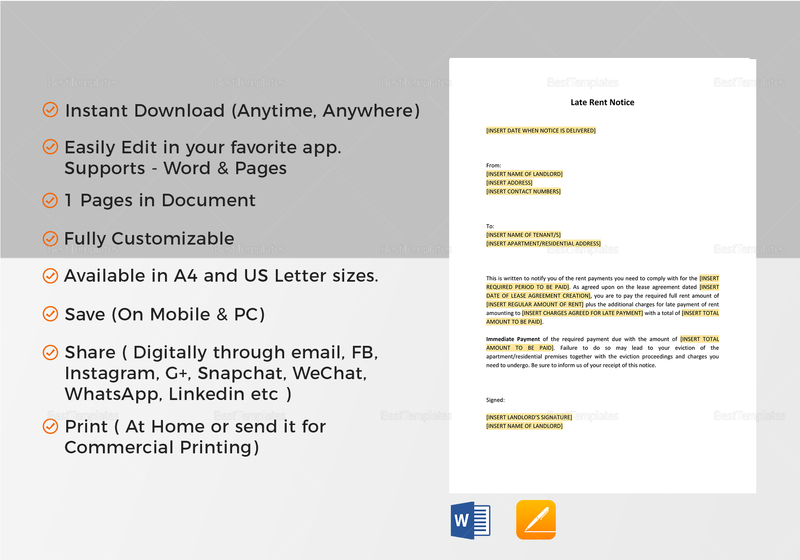 Download in seconds and you can edit and customize it yourself and produce a professional notice for your tenants. Formats include MS Word and Pages.